Once the large mystery box was removed from the yard, we had to put all the dirt back in place. 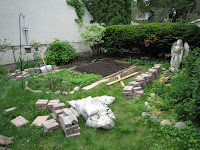 Rather than make a new, raised bed, I decided to keep the garden on the ground but re-size it. The frame currently shared a wall with the strawberry bed, so when we cut down the size, we needed to create enough new planks to make a new edge. This turned out to be easily done, and the two pieces cut off of the length of the bed were each exactly half the width of the bed. Putting it all back together just took a few nails. Because the bed is no longer going to be raised, I decided to put a nice wide edge around the entire project to help keep weeds at bay. 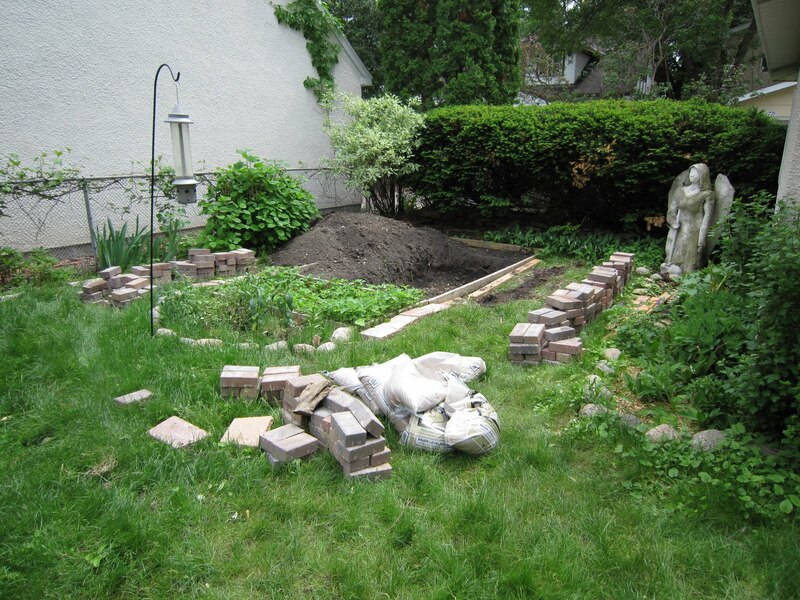 After going to Menards, I chose some brick pavers to use. 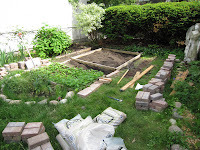 To put in the pavers, the sod around the area first has to be dug out. If you haven't done it before, pulling up sod is not easy. Each blade of grass has long roots that tangle about each other and make every inch of sod well cemented down. 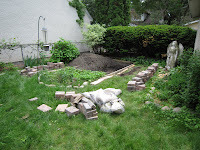 On the plus side, once the sod is gone, we will not need to worry about grass growing into the garden (something which, again due to how well it sticks in the ground, is a major hassle). 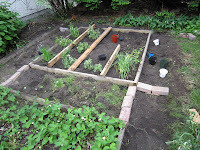 Once the frame was in place, I was able to put the herbs back into the ground. I used some spare boards to roughly frame where the dividers will go once I actually buy some more cedar planks to make a divided garden. Having the garden divided will make it easier in the future to keep weeds out, keep track of what plants are where, and keep each plant from over-growing. 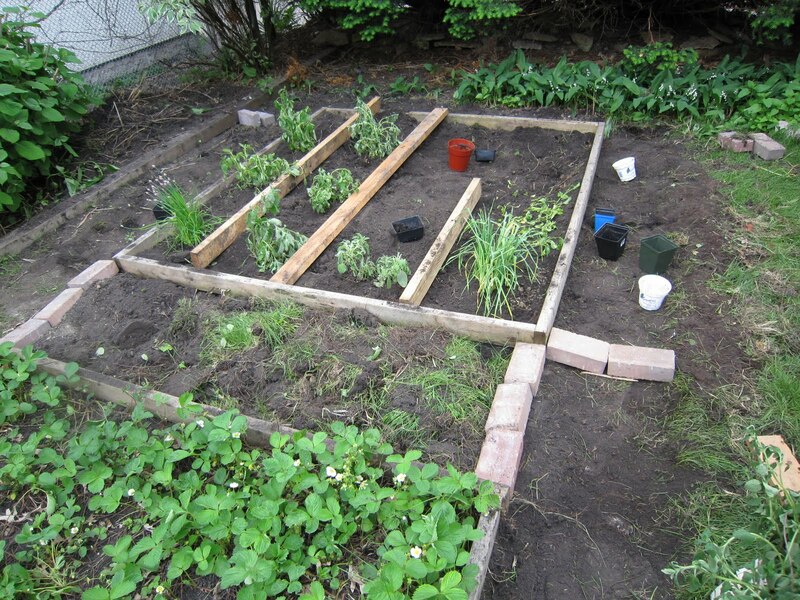 The space between the herbs and the strawberries will be paved just like the edges.